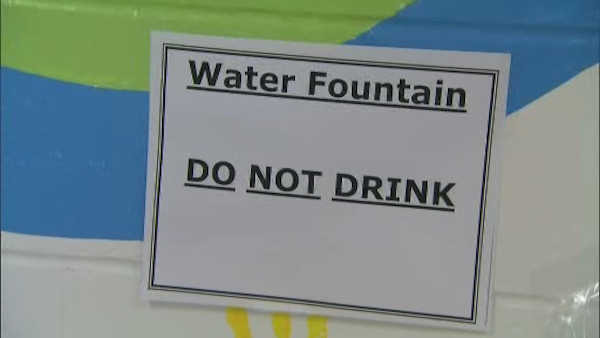 NEWARK, New Jersey (WABC) -- Parents have filed a federal lawsuit against New Jersey's largest school district over lead found in drinking water. Attorney Joel Silberman says the lawsuit against Newark's public schools seeks class-action status and was filed in federal court Tuesday. The parents of four children allege in the lawsuit that the district deliberately exposed children to harmful levels of lead. Lead is known to severely affect a child's development. The district shut off water fountains at half of its buildings in March because of elevated lead levels. Newark schools spokeswoman Dreena Whitfield says the district hasn't been served with the suit yet. She says students' safety is the district's highest priority and the district is working to "solve this historic issue once and for all." The suit seeks compensatory and punitive damages. Gewndolyn Booker and Anthony Brown are fed up, accusing officials of failing to do enough to protect their children from lead in the school drinking water and they say their kids have suffered. "My son is diagnosed with autism and my daughter has a learning disability. He has to get special services every week," said Booker. A class action lawsuit was filled on behalf of Brown and Brooks, claiming an insidious violation of constitutional rights of the school children and teachers in schools with high lead levels. The parents feel they're being misled. "We haven't received nothing in writing, no phone calls, nothing as far as the issue," said Brown. Among the defendants are Governor Chris Christie, the city of Newark and past and present school leaders. "We want to know who knew about the lead, when they knew about it, why wasn't it shared with parents and teachers, and why, after months and months of this being in the press, nothing has been done about it and no concrete plans going forward have been developed," said lawyer Amen A. Aboushi. The lawyer claims officials are trying to sweep the lead problem under the rug and he takes issue with Governor Christie's proposal to set aside $10 million to test drinking water in schools. "They want money to test for lead in schools in the fall, rather than doing something about it now," said Aboushi. Instructors say kids in the schools are concerned. "It hits too close to home being a teacher, being an advisor, being here for these kids and they don't know what to do," said teachaer Kween Moore.